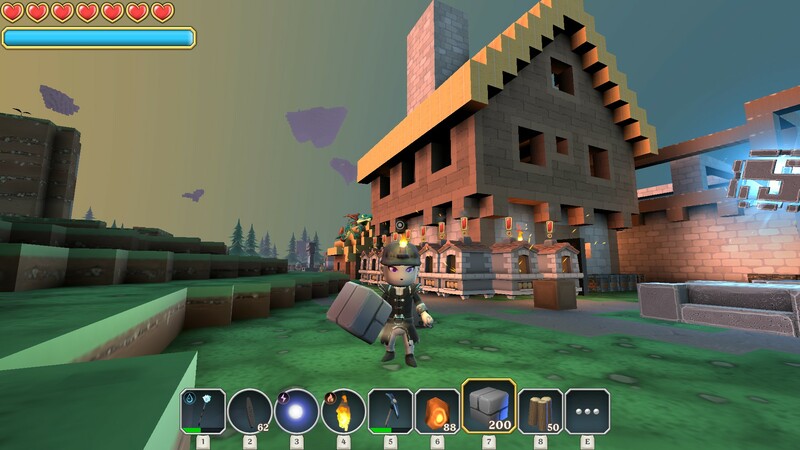 Home › Forums › Creative Corner › Player Creations – Show us your stuff! This topic contains 97 replies, has 43 voices, and was last updated by Corinna April 17, 2019 at 10:58 am. This topic was modified 3 years, 1 month ago by PK_CM505. This reply was modified 3 years, 1 month ago by Sir_IZBAK_1st. Spirit is All in Nothing. Level 30 reached, equipment fully crafted (probably not mathematically optimal but I kill what I want rather quickly so it’s OK), back to building. Built a marble house fortified with stone towers and walls above the spawn point in first island. Still need to add inside walls and furnish, but the outside and the gardens are OK. Added a campfire and some stools in the back garden, looks like a nice little place to sit at night. Also, added a balcony behind the portcullis, leading to the back garden. Finished the fields, by trying to add some pumpkins. THey don’t seem to grow on this biome, but hey, at least I tried. Ok, level 30: check. Whack-no-worm: check. Worbenches everywhere: check. Rabbit suit & carrot: check. Besides, “surface house” almost complete. And only decorated for lore, the troglodyte house remains the main home. The challenge was to separate rooms in this long, narrow house while avoiding a corridor effect or to feel oppressed. So this house is the paradise of grids. Doors between rooms are grids, and openings in the wall are obstructed by iron bars. The aim is to have a physical separation between rooms while letting light go through them and keep an illusion of one big room. Still some work to be done, and some iron bars to be collected to widen the opening between bedroom and stairs. 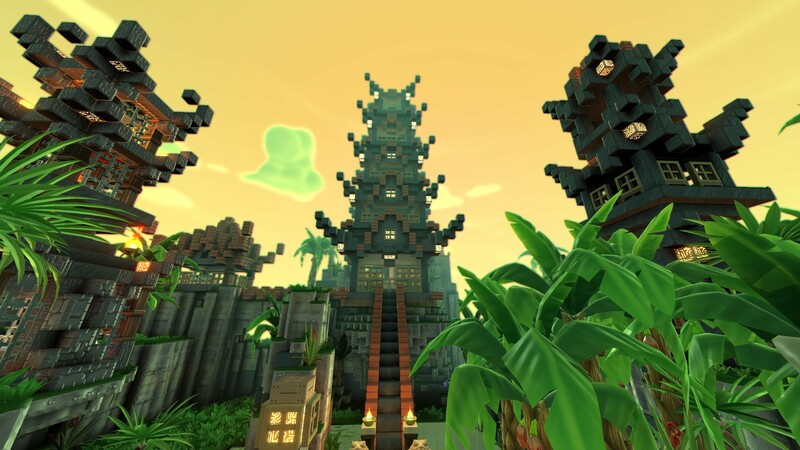 I just want to share a video with you of our house in Portal Knights! Enjoy! This reply was modified 3 years, 1 month ago by HannahSupernova. Wow beautiful house. That was a lot of work. Thanks for sharing the link. This reply was modified 3 years, 1 month ago by rdksupernova. Sir_IZBAK_1st: I was a bit iffy on it at first, making something out of refined marble but once I finished converting the main castle(which was all refined stone bricks, even the walls at first) I realized how decadent as fluk it was. I now actually have a proper rampart around it all now but I’m still working on perfecting it. I wondered what a small city would look like on PK, if the islands were big enough to host such groups of structures, and so on (yes, I still hope this will happen in game)… so I decided to build a village, with some mediterranean influence. I haven’t done anything fancy yet. Just a simple home and farm but it’s cozy. Nice one! Maybe not very spectacular, but cozy indeed, and I have a good feeling of safety when I look at it, that I haven’t found yet in another stone house. Cool event, this egg chase! What, these #@$% strike back? Think figured out the pic issues, if not will upload them later on the weekend. “Level 2” is different now b/c I didn’t like the window-grid and changed it. I don’t have a current pic of it. Remodel 04012015 is actually 2016, typo on naming, so ignore that part. 😛 I decided to expand the farmhouse. Remodel 040716 is current, a view from the old stone mine. I’ve noticed I’m trending toward a big ‘ol tower shape overall, so may adjust things in the future. The “upper floor with all the windows” is my experimental garden deck / roof top terrace. I recently closed most of it in, but seem to have lost plant growth, so will have to open it back up. I’m also going to have to go back and find more of the “floor grates” from the dungeons—unless they’re craftable with the titanium upgrade??? I’m using them as a sideways trellis’ for part of my garden roof top. This reply was modified 3 years ago by ZLATH. I’ve just started the game 1 day before and it’s not easy to have ressource but i’ve build a “cavern house”. If no one is around to hear the dank memes, do they really ever happen? Guys, can we just say how much we’re loving your creations! You’re a talented bunch. Decided to make a mushroom world my home world! Here’s my dungeon that I created. The Cabin, Copper Castle, The Alter lining up with the portal, The Iron Tower with garden platforms and The Trump signage. I have to thank the developers for such a good game, please keep going on working hard for this wonderful creation! 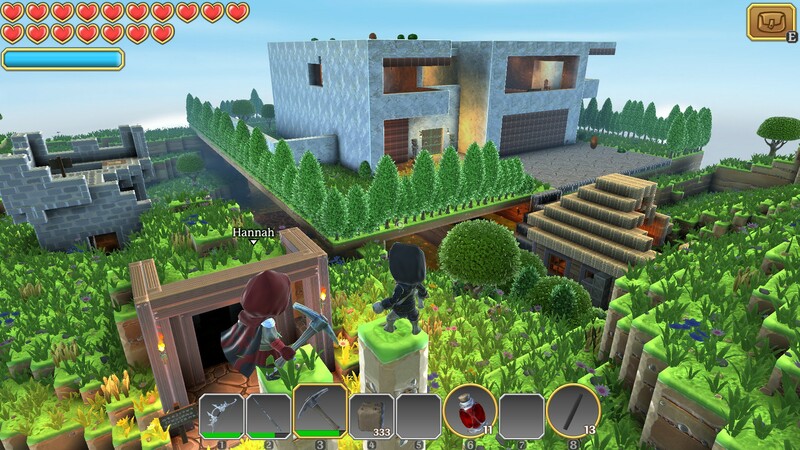 Also everyone, you guys are very creative its wonderful to see your buildings in the game. I made videos of me and my husband’s house creation. The videos are kind of long but at least watch a few minutes of each one! Theyre still a work in progress but coming along great! 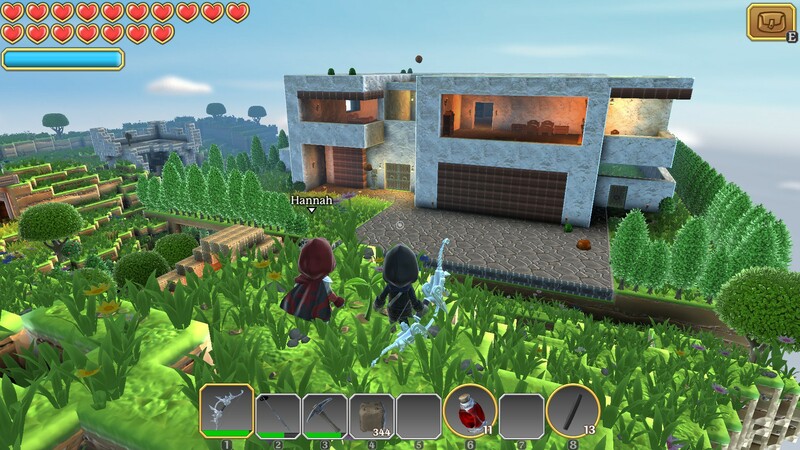 So, This Halloween season gave me the will to build a house in the… I call it the Autumn biome. As usual, not a big empty castle, just a home built for all my stuff to fit in. And as usual, there will be 3 or 4 posts to show all the pics at once. Pic 2- The 2 bushes mark the limit of the site. I tried to avoid walls and use trees, pumpkins, or fences to mark out the site. This explains the small dense forest on the left, behind the flags. Pic 4 – WIP of an abandoned Graveyard with pumpkins. For now I let trees and pumpkins grow a little, then I’ll remove some of them and add graves. So nothing wonderful to see here. Pic 5 – A view of the house roof. Straw is good, since tiles & bricks would have made a too red building. Pic 7 – Enough with the outside! It’s time to get in. 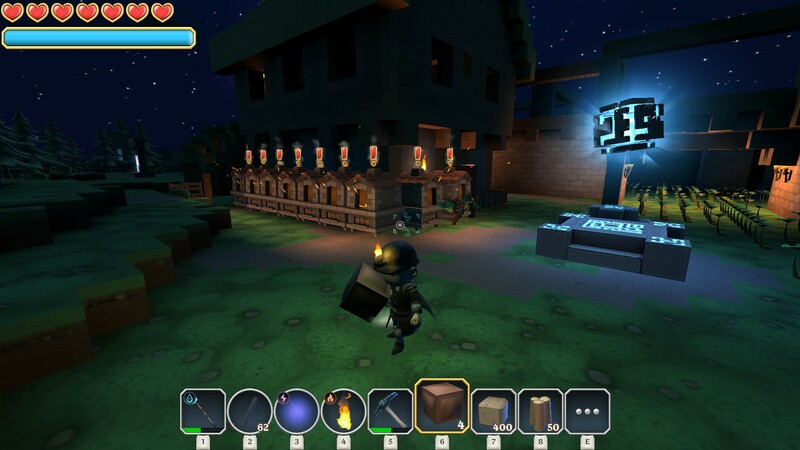 Pic 8 – Once again, I preferred those white lanterns to torches to avoid a too orange/red atmosphere, because of bricks. I have tests to make to find out which furniture collection is the best, but for now I like the simple wood one (except chairs). pic 10 – Two workbenches, because sometimes one is not enough (especially when you create shitloads of blocks to build something). BtW, I like those alcoves. Pic 11 – Hidden by the bench and the shelf, a stair lead in the basement, where the forge is located. 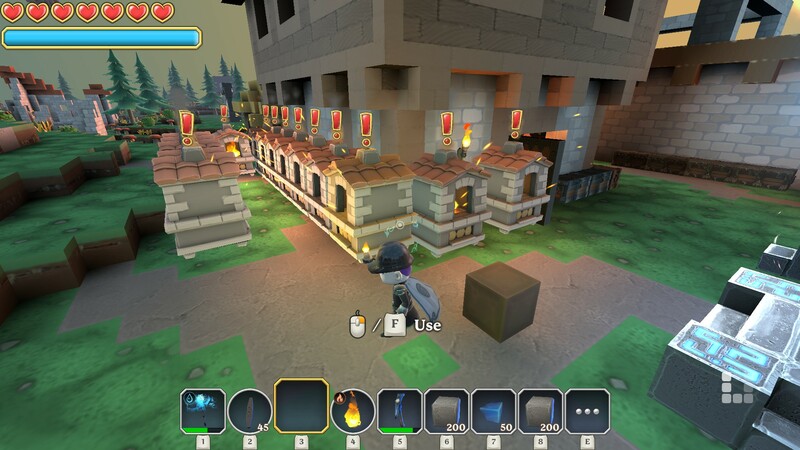 Pic 12 – This time I kept natural dirt waals and used torches, to get this fiery ambiance fitting to a forge. Pic 13- “Marble-ized” floor, (at last) found a baroque table, used raw marble on the pireplace and the upper part of the walls to represent some white material (like a lime-coated wall). All I need now is more baroque furniture to replace the wooden one as much as possible. Pics 14 to 16- Now there’s a door at the back of the house, accessible after you climb the hill. It leads to the magic room, where the altar is located. As you can see on pics 15 and 16, whence this room is a part of the house and they have an opening between them, the colors of the two rooms are opposed (cold, scary magic room vs. warm, cosy non-magic room) and (almost) don’t mix together. This room is in fact a good representation of magic itself according to my character: it’s close to the “normal world” but the path to obtain it is long and difficult, it’s the opposite of “normality” (physics laws, etc. ), and whence those two worlds can sometimes coexist, it’s better to contain magic and prevent its interferences because it can be dangerous. This reply was modified 2 years, 4 months ago by Lza. Hello! I’m new! How can I visit your land? Are you on PlayStation? 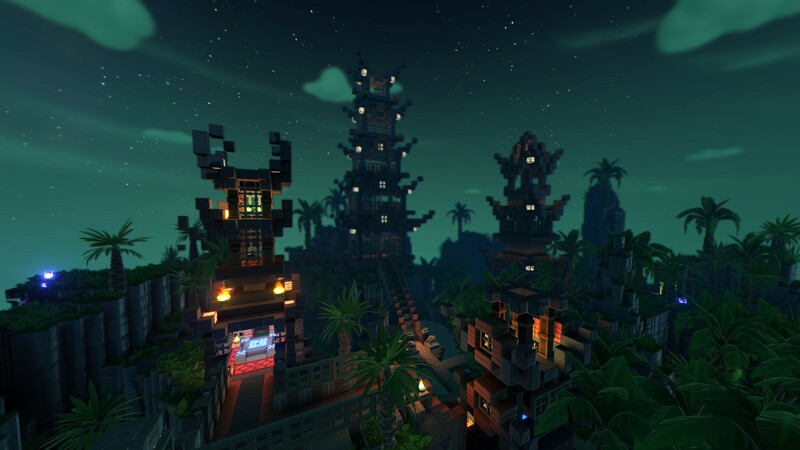 I think it would be really cool to see more biomes/islands that are almost fully developed. Here is my attempt, the Insect Lord’s Pagodas. 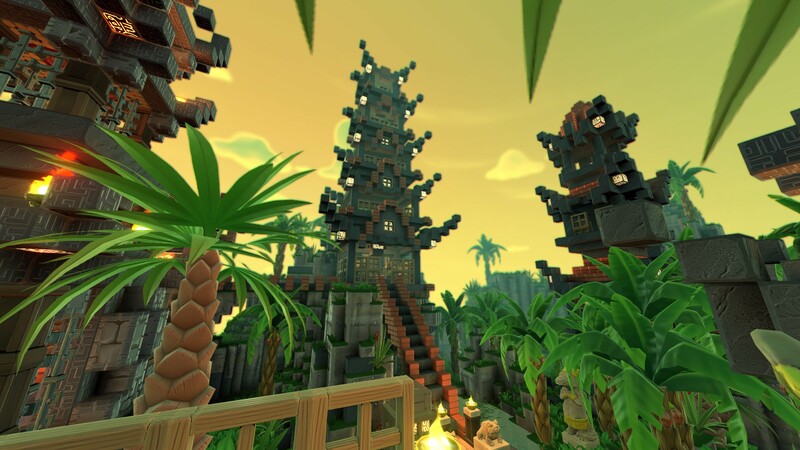 A Jungle Island with a temple on it. A whole ‘town’ or ‘city’ biome would be cool too. Hope you like it. This reply was modified 2 years, 2 months ago by thebruce. Finally built my house in the new permanent spring island! As soon as I found the huuuge lake I knew I had to make my house there so I abbandoned my previous Christmas extravaganza and worked to get it done asap! This reply was modified 2 years, 1 month ago by jessym. Reason: added imgur gallery link since the files were too big for the forum! I really love this game and by the looks of it, i’m not the only 1 ! Here are 2 pictures of what i’m working on atm ! I’m not on pc, I’m playing on Switch, but here is what I’ve been building. 42 rooms, including a throne room, a dining hall that seats 98, a library, and 18 large bedrooms. 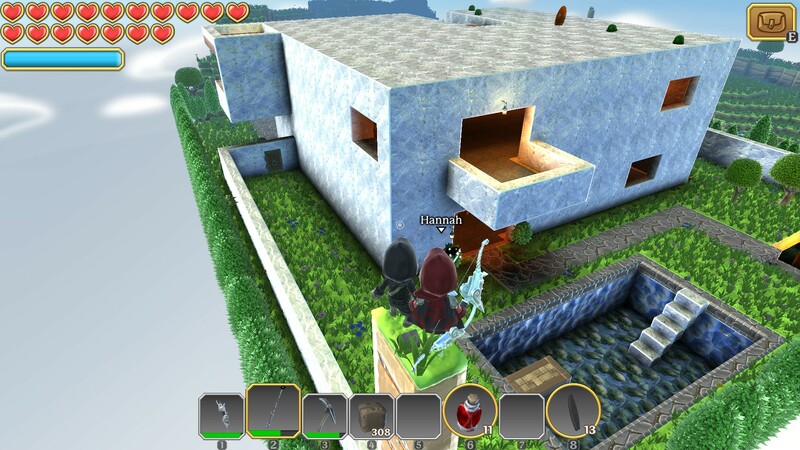 The courtyard has a seperate building containing each of the level 4 crafting stations (not counting them as rooms), and two pools. This reply was modified 1 year, 1 month ago by spacemanSpork. Hi, I play on mobile. Hope this is the correct place to post this. I was doing research on the Temple built by Solomon in Jerusalem 3000 years ago and looked up some artist renditions. I tried to replicate it to scale. This reply was modified 7 months, 2 weeks ago by LunacyEva. The link above is a quick walkthrough of the beginning of my house in Squires Knoll. I have added so much since then and cleaned up the rough areas but you all know how time consuming and never-ending building can be in a game like this. I play alot so if you cannot find people to run through harder stuff with, hit me up. My PS4 id is bonjoyle. This reply was modified 3 months ago by bonjoyle. 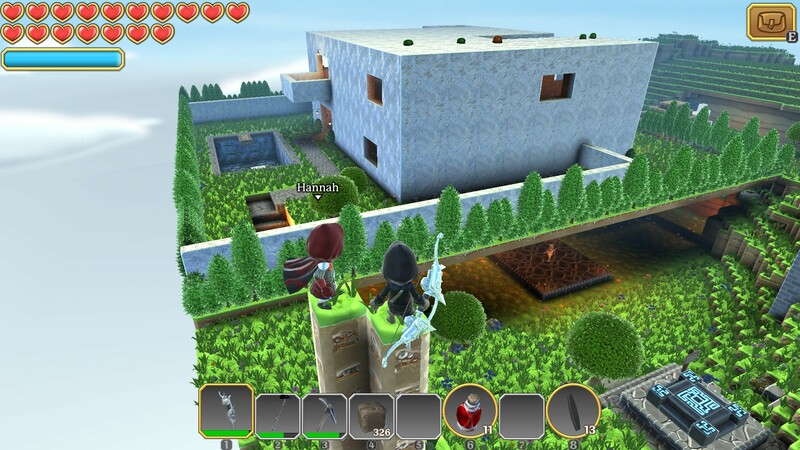 here is what our land look likes in Portal Knights so far. 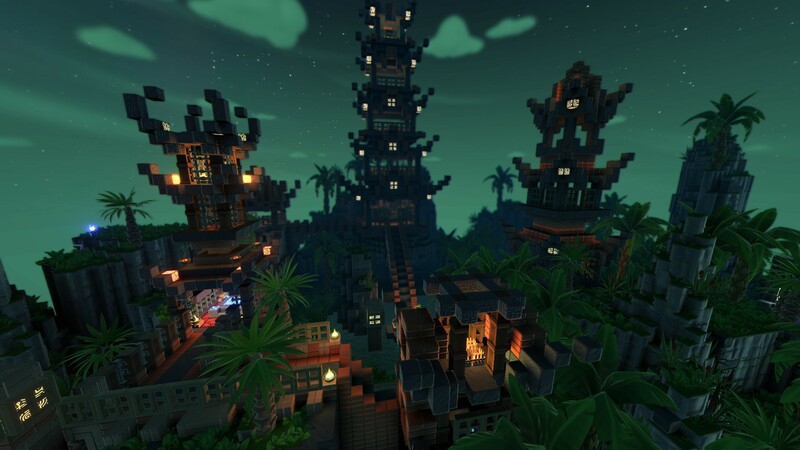 It took a lot of hours since its not in creative mode so we had to farms the materials in different regions and craft them to get this result. we are trying to get it bigger and bigger within the year. Fort Finch? No, Finch Fortress. I feel like this is so basic compared to what some people have done, but this was my first palace layout before re-designing. All in adventure mode. Tower view, workshop, and vault. Very nice and inspirational creations to be seen on this forum. Great work! I have made some worlds, to be found on the steam workshop – several screenshots included. My worlds are completely themed, including certain “collection” tasks to be done on them. Feel free to ask for more screenshots, if you cannot access the steam content. PS: I only posted 3 screenshots here, but I see them repeated, dunno why. Seems I cannot delete them. Sorry about that. This reply was modified 4 days, 15 hours ago by Corinna. I’m the kind of guy who takes screenshots of anything (specially buildings), so instead of keeping them private I will regularily post them in this subject. I don’t know how this will be handled later, but I think one subject per player is a good way to show the progression of our adventures -and building skills-. So, first three hours of game, ranger Level 7, progressing at a slow pace because craft, discovery, and so on. Underground of this island looks promising, it will be quite easy to install a pretty troglodyte house there -when I get enough stone-, and then use all the surface for agriculture. Great building. 🙂 I forgot about fireplaces, I’ll have to find some or make them later. … but i’m leaving it. My troglodyte house is almost finished, after 8 hours of work. Little WIP below, whole visit as soon as I finish it. This reply was modified 3 years, 1 month ago by PK_CM505. You kept the house? I buried mine and built a fort…. well after I chucked a dozen bombs at it for fun. Ok, stuff’s over. Well, almost. Still need to rearrange the entrance and find a cool way to secure it because the underground path is quite long and I’m often attacked by worms. Not dangerous, but annoying. I will cut the visit in 3 parts (plus a bonus), to avoid a huge list of pictures in one post. Part 1 is the first thing you see by coming at my house: the Forge Balcony. Dungeon-like and over the void, this is the main crafting “room” (other rooms are here for the lore and/or storage). When going left, you enter a wooden tunnel that leads to the rest of the house… that we will see on part 2. Directly on the left is the living room. It’s quite vast and empty for now, I will furnish it more as my crafting list grows. … and you can see a second balcony on the opposite corner of the room, we will look at it on part 3. Part 3 is the Bedroom (and magic room), I tried to keep it as natural as possible (whence the irregular dirt walls) while adding a little cabin perched over the void. I think it really looks like a good place for a mage. Put on your dungarees and straw hats, because today we go to the farm! I terraced the surroundings of the old farm (and destroyed a pretty little hill) to have a “big” plain, on which I planted many (and various) trees, vegetables, wheat, and so on. Most of them just for the lore (until a hunger mechanics appears -you never know-). Plus, the slimes living here drop water bottles, good stuff for alchemy. On an unrelated note, I found this dungeonstone stuff (see third pic) in the first island, totally stuck into dirt (I excavated it and add the torches for the picture). It’s a sort of square dungeonstone plate with a rim on three sides. Any idea of what use it has, if any? but you got some nice picture 🙂 do you mind if i upload some picture of my home here ? do you mind if i upload some picture of my home here ? … Just do what you want. 🙂 If you post your screenshots here I’ll change the subject name (if I can -Edit: I can’t-). omg ! these smiley are ridicules giant ! well i wont do picture about my progression cause i am already nearly finished just one or two things here and there. BtW, i begin to play with refined marble (is this the english name? can’t be sure). Let me say it again: Every f#cking thing looks f#cking classier with some f#cking marble. These screenshots are awesome! 🙂 Many thanks for sharing. I’m still working on fixing the farmhouse. Someday I’ll have to make a home somewhere else, but for now I like the pre-fab of the rundown farmhouse. Decided to revamp. On-going work in progress on the old farmhouse. Hey guys I’m enjoying the game a lot. I hope the rest of you are and are meeting lots of people. If you haven’t I would love to invite you to my castle to get to know you and maybe be good friends. I only got one picture of it right now. More will be posted in a later time. Post ye creations here! House, castles, sculptures, whatever!